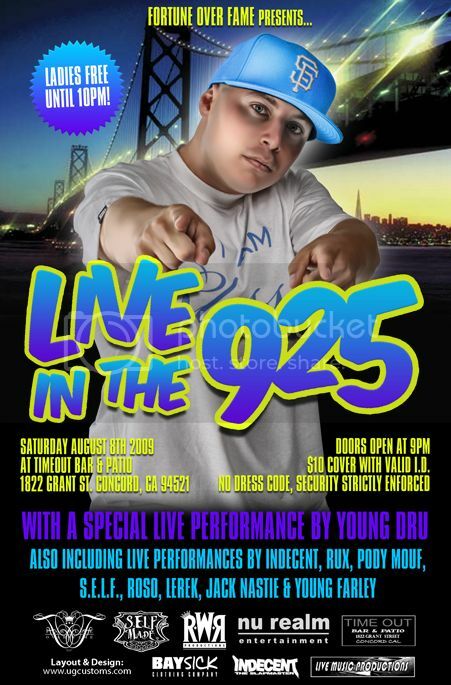 If your looking for something to do Saturday Night then the Young Dru Concert in Concord, Ca is the answer. Come join the show ladies free before 10pm and $10 after that. Come to the Timeout bar and Grill. Check out the flyer below for more info.